Most home sellers hate the idea of spending a percentage of their home sale price on a full-service real estate broker. Accordingly, there are discount brokerages that have been popping up, and some sellers are grasping at these companies as a way to reduce their commission costs. Discount brokerages are those that offer reduced fees in exchange for reduced services. The question sellers may have is, are they worth using? I took buyer clients to see a home the other day. I arrived before my clients and had a few minutes to talk to the seller who was going to be letting us in for the showing. He shared some frustration with the process for showings. He indicated that many times he had readied the home for showings and then no one came or called, which of course was frustrating to him. He also indicated he was required to get the agent and clients to sign in when they arrived so there would be a record. And he mentioned that he or his wife had to be home to show the home, so they often said “no” to showings because they were not available. After I got back to my office, I did a little research on the agency that had listed this specific home. The company is definitely a discount broker. Their web site indicates that for a fee of ~$400, the seller gets the following: their listing placed on MLS with six photos, and For Sale signs. They will also need to pay a commission to the buyer agent of 2-3%. If they want to upgrade and add more services, they certainly can for additional fees. They could also opt for the high-end option which is available for ~$700 with an additional 1% at closing. In addition to an MLS listing with six photos and For Sale sign, that option also gets them a lockbox, help with paperwork, agent staging consultation, legal support and the ability of the seller to do their own unlimited open-houses. The FAQs on this particular discount broker site address whether working with a “high” commission broker is worth it. They state that no, there is no need to use a full-service broker. In their explanation they indicate all agents work with the MLS so putting a listing in the MLS could cost a lot less with a discount broker than with a traditional agent. In other words, they specifically infer that all a full-service agent does is to put the listing in MLS. Keeping all this in mind, it is important to note that this specific home has been on the market for nearly eight months. There could be a lot of reasons for that. But it leads to the first reason you may not wish to use a discount broker – they aren’t really trying to help you sell your house. A skilled analyst who will provide market data to help come up with a price point that will get the home sold quickly. A pre-listing expert who will give you all the information you need to ensure your home is prepared for sale. 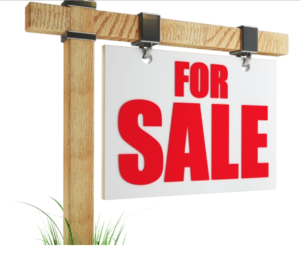 Just throwing a sign on the lawn is not enough for a buyer to want to purchase. Your home has to be readied properly, inside and out. A marketing pro who will not only write a listing to entice buyers and put it on MLS, but one who may send postcards, write blogs, prepare flyers, send information to buyer lists, contact brokers who may have interested buyers, use social media to further reach potential buyers, and more. A photographer who will take much more than 6 photos of your home. Buyers will skim over a listing online that only has a few photos, especially if they are all of the outside (I’ve seen some of those). In order to get buyers to truly read your listing, the photos have got to capture their attention. And everything needs to be photographed. Six photos just won’t do it. An event planner who will schedule Open Houses if needed, but more importantly who will handle all the showings. You don’t have to stay at home to let people in. In fact, it’s better if you’re not there, as people need to be able to picture themselves in the home. Everything about showings should allow those buyers to wonder what the home would be like if it were theirs. Having the sellers there usually results in very quick showings and no offers. A provider of no-fee items such as lockboxes, signs, flyer box if appropriate and more. A negotiator to take care of the back-and-forth of offers. If your home is listed for $300K and you get an offer directly of $200K, you may just get angry and not want to talk to the buyers again. But it’s important to know that someone wants your home – and any offer is worthy of a response. There are cases where low ball offers turned into a sale at a very good price. So having someone on your side to guide you through negotiations is priceless. A guide to assist you with the entire process. For example, when buyers do an inspection and then send a big list of repair requests, what’s the best way to handle that? Are there items that you really “must” complete, perhaps for code violation issues or because a particular mortgage will require it? Can you just say no to everything? What does it mean when the bank does an appraisal? Is that different than the inspection? What if the appraisal comes back at a lower price than your agreed upon sale price? What do you have to bring to closing? How do the utilities get transferred to the new buyer? Which disclosures must be completed as part of the sale? Which attorneys are helpful, and which aren’t? You get the point. There is a lot involved in selling a home. A communicator to keep you in the loop. Why isn’t your home selling? Why aren’t there more showings? What did the last people think of the home? What should we do next? Why would I want to drop the price? You need to know what is going on at all times. A discount broker can definitely be cheaper in terms of commission. But as described above, they also discount services. If they aren’t assisting you in setting the right price, you could wind up leaving money on the table. You might get less than you would have if you paid a full-service broker’s commission, and you’ll certainly have a more frustrating sale. These are just some things to consider when you are deciding how to sell your home. If you want a full-service broker who will work with you to get your home sold in Orange and Rockland County, NY, call me at 914-419-0270. Or email me at kat@thehousekat.com.